The Democrats’ desire for universal access to health insurance is not a recent desire. President Franklin D. Roosevelt hoped to include some kind of national health insurance program in Social Security in 1935. President Harry S. Truman proposed a national health care program with an insurance fund into which everyone would pay. Since then, every Democratic president and several Republican presidents have wanted to provide affordable coverage to more Americans (Health Care Reform, 2012). 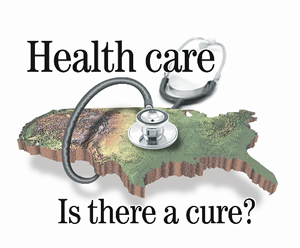 The health care reform debate in the United States has been a political issue for many years, focusing upon increasing coverage, decreasing the cost and social burden of healthcare, insurance reform, and the philosophy of its provision, funding, and government involvement. Following the election of Barack Obama, who campaigned heavily on accomplishing health care reform, legislation was enacted in March 2010. The U.S. has the highest healthcare costs relative to the size of the economy (GDP) in the world, with an estimated 50.2 million citizens (approximately 15.6% of the September 2011 estimated population of 312 million) without insurance coverage. Further, an estimated 77 million Baby Boomers are reaching retirement age, which combined with significant annual increases in healthcare costs per person will place enormous budgetary strain on U.S. state and federal governments (“Health Care” n.d.). The long-term fiscal health of the U.S. federal government is primarily related to whether healthcare costs can be brought under control. When someone without insurance (or with inadequate cover) falls ill, they are obliged to pay their medical costs out of their own pocket. Half of all personal bankruptcies in the US are at least partially the result of medical expenses. Rising costs also mean the government is spending more and more on Medicare and Medicaid.Medicaid now consumes almost a quarter of state budgets, crowding out investments in education and infrastructure. US government spending on the two schemes is projected to rise from 4% of GDP in 2007 to 7% in 2025 and 12% in 2050, making rising healthcare costs one of the biggest contributing factors to the spiralling US budget deficit. 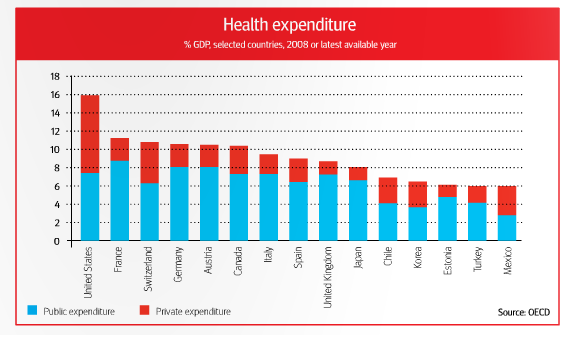 It is interesting to note that even though the average spending on health per capita and total expenditures on health as percent of GDP is the highest in the US, the overall ranking of the healthcare system in the lowest. In other words, there is a strong need to develop a healthcare system in US which will focus on improving the healthcare quality, while reducing the total healthcare spending costs. A United States federal statute known as ‘The Patient Protection and Affordable Care Act’ (PPACA) was signed into law by President Barack Obama on March 23, 2010. The law (along with the Health Care and Education Reconciliation Act of 2010) is the principal health care reform legislation of the 111th United States Congress. PPACA reforms certain aspects of the private health insurance industry and public health insurance programs, increases insurance coverage of pre-existing conditions, expands access to insurance to over 30 million Americans, and increases projected national medical spending while lowering projected Medicare spending Patient (“Protection” n.d.). After the tumultuous debate over health care reform ended, many Americans were surprised to find that key parts of the law won’t take effect until years into the future. The law, known as the Patient Protection and Affordable Care Act, sets up a carefully choreographed order for how its different parts will take effect to minimize disruptions to the massive health care industry and the bill’s impact on the federal deficit. Below is the road map that helps understand when the different parts of the law will roll out. Below are the different provisions of the ‘Affordable Care Act’ from 2010 through 2015 (“Provisions of”, 2010). Putting Information for Consumers Online. The law provides for an easy-to-use website where consumers can compare health insurance coverage options and pick the coverage that works for them. Effective July 1, 2010. Prohibiting Denying Coverage of Children Based on Pre-Existing Conditions. The health care law includes new rules to prevent insurance companies from denying coverage to children under the age of 19 due to a pre-existing condition. Effective for health plan years beginning on or after September 23, 2010 for new plans and existing group plans. Prohibiting Insurance Companies from Rescinding Coverage. In the past, insurance companies could search for an error, or other technical mistake, on a customer’s application and use this error to deny payment for services when he or she got sick. The health care law makes this illegal. After media reports cited incidents of breast cancer patients losing coverage, insurance companies agreed to end this practice immediately. Effective for health plan years beginning on or after September 23, 2010. Eliminating Lifetime Limits on Insurance Coverage. 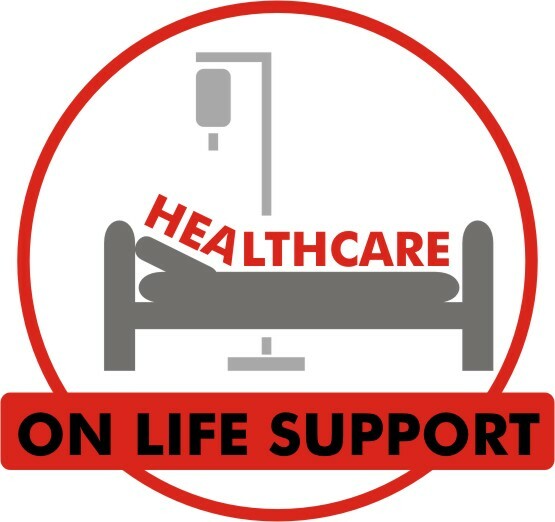 Under the law, insurance companies will be prohibited from imposing lifetime dollar limits on essential benefits, like hospital stays. Effective for health plan years beginning on or after September 23, 2010. Regulating Annual Limits on Insurance Coverage. Under the law, insurance companies’ use of annual dollar limits on the amount of insurance coverage a patient may receive will be restricted for new plans in the individual market and all group plans. In 2014, the use of annual dollar limits on essential benefits like hospital stays will be banned for new plans in the individual market and all group plans. Effective for health plan years beginning on or after September 23, 2010. Appealing Insurance Company Decisions. The law provides consumers with a way to appeal coverage determinations or claims to their insurance company, and establishes an external review process. Effective for new plans beginning on or after September 23, 2010. Establishing Consumer Assistance Programs in the States. Under the law, states that apply receive federal grants to help set up or expand independent offices to help consumers navigate the private health insurance system. These programs help consumers file complaints and appeals; enroll in health coverage; and get educated about their rights and responsibilities in group health plans or individual health insurance policies. The programs will also collect data on the types of problems consumers have, and file reports with the U.S. Department of Health and Human Services to identify trouble spots that need further oversight. Grants Awarded October 2010. Providing Small Business Health Insurance Tax Credits. Up to 4 million small businesses are eligible for tax credits to help them provide insurance benefits to their workers. The first phase of this provision provides a credit worth up to 35% of the employer’s contribution to the employees’ health insurance. Small non-profit organizations may receive up to a 25% credit. Effective now. Offering Relief for 4 Million Seniors Who Hit the Medicare Prescription Drug “Donut Hole.” An estimated four million seniors will reach the gap in Medicare prescription drug coverage known as the “donut hole” this year. Each eligible senior will receive a one-time, tax free $250 rebate check. First checks mailed in June, 2010, and will continue monthly throughout 2010 as seniors hit the coverage gap. Providing Free Preventive Care. All new plans must cover certain preventive services such as mammograms and colonoscopies without charging a deductible, co-pay or coinsurance. Effective for health plan years beginning on or after September 23, 2010. Preventing Disease and Illness. A new $15 billion Prevention and Public Health Fund will invest in proven prevention and public health programs that can help keep Americans healthy – from smoking cessation to combating obesity. Funding begins in 2010. Cracking Down on Health Care Fraud. Current efforts to fight fraud have returned more than $2.5 billion to the Medicare Trust Fund in fiscal year 2009 alone. The new law invests new resources and requires new screening procedures for health care providers to boost these efforts and reduce fraud and waste in Medicare, Medicaid, and CHIP. Many provisions effective now. Providing Access to Insurance for Uninsured Americans with Pre-Existing Conditions. The Pre-Existing Condition Insurance Plan provides new coverage options to individuals who have been uninsured for at least six months because of a pre-existing condition. States have the option of running this program in their state. If a state chooses not to do so, a plan will be established by the Department of Health and Human Services in that state. National program effective July 1, 2010. Extending Coverage for Young Adults. Under the law, young adults will be allowed to stay on their parents’ plan until they turn 26 years old (in the case of existing group health plans, this right does not apply if the young adult is offered insurance at work). Check with your insurance company or employer to see if you qualify. Effective for health plan years beginning on or after September 23. Expanding Coverage for Early Retirees. Too often, Americans who retire without employer-sponsored insurance and before they are eligible for Medicare see their life savings disappear because of high rates in the individual market. To preserve employer coverage for early retirees until more affordable coverage is available through the new Exchanges by 2014, the new law creates a $5 billion program to provide needed financial help for employment-based plans to continue to provide valuable coverage to people who retire between the ages of 55 and 65, as well as their spouses and dependents. Applications for employers to participate in the program available June 1, 2010. Rebuilding the Primary Care Workforce. To strengthen the availability of primary care, there are new incentives in the law to expand the number of primary care doctors, nurses and physician assistants. These include funding for scholarships and loan repayments for primary care doctors and nurses working in underserved areas. Doctors and nurses receiving payments made under any State loan repayment or loan forgiveness program intended to increase the availability of health care services in underserved or health professional shortage areas will not have to pay taxes on those payments. Effective 2010 . Holding Insurance Companies Accountable for Unreasonable Rate Hikes. The law allows states that have, or plan to implement, measures that require insurance companies to justify their premium increases will be eligible for $250 million in new grants. Insurance companies with excessive or unjustified premium exchanges may not be able to participate in the new health insurance Exchanges in 2014. Grants awarded beginning in 2010. Allowing States to Cover More People on Medicaid. States will be able to receive federal matching funds for covering some additional low-income individuals and families under Medicaid for whom federal funds were not previously available. This will make it easier for states that choose to do so to cover more of their residents. Effective April 1, 2010. Increasing Payments for Rural Health Care Providers. Today, 68% of medically underserved communities across the nation are in rural areas. These communities often have trouble attracting and retaining medical professionals. The law provides increased payment to rural health care providers to help them continue to serve their communities. Effective 2010. Strengthening Community Health Centers. The law includes new funding to support the construction of and expand services at community health centers, allowing these centers to serve some 20 million new patients across the country. Effective 2010. Offering Prescription Drug Discounts. Seniors who reach the coverage gap will receive a 50% discount when buying Medicare Part D covered brand-name prescription drugs. Over the next ten years, seniors will receive additional savings on brand-name and generic drugs until the coverage gap is closed in 2020. Effective January 1, 2011. Providing Free Preventive Care for Seniors. The law provides certain free preventive services, such as annual wellness visits and personalized prevention plans for seniors on Medicare. Effective January 1, 2011. Improving Health Care Quality and Efficiency. The law establishes a new Center for Medicare & Medicaid Innovation that will begin testing new ways of delivering care to patients. These methods are expected to improve the quality of care, and reduce the rate of growth in health care costs for Medicare, Medicaid, and the Children’s Health Insurance Program (CHIP). Additionally, by January 1, 2011, HHS will submit a national strategy for quality improvement in health care, including by these programs. Effective no later than January 1, 2011. Improving Care for Seniors After They Leave the Hospital. The Community Care Transitions Program will help high risk Medicare beneficiaries who are hospitalized avoid unnecessary readmissions by coordinating care and connecting patients to services in their communities. Effective January 1, 2011. Introducing New Innovations to Bring Down Costs. The Independent Payment Advisory Board will begin operations to develop and submit proposals to Congress and the President aimed at extending the life of the Medicare Trust Fund. The Board is expected to focus on ways to target waste in the system, and recommend ways to reduce costs, improve health outcomes for patients, and expand access to high-quality care. Administrative funding becomes available October 1, 2011. Increasing Access to Services at Home and in the Community. The Community First Choice Option allows states to offer home and community based services to disabled individuals through Medicaid rather than institutional care in nursing homes. Effective beginning October 1, 2011. Bringing Down Health Care Premiums. To ensure premium dollars are spent primarily on health care, the law generally requires that at least 85% of all premium dollars collected by insurance companies for large employer plans are spent on health care services and health care quality improvement. For plans sold to individuals and small employers, at least 80% of the premium must be spent on benefits and quality improvement. If insurance companies do not meet these goals, because their administrative costs or profits are too high, they must provide rebates to consumers. Effective January 1, 2011. Addressing Overpayments to Big Insurance Companies and Strengthening Medicare Advantage. Today, Medicare pays Medicare Advantage insurance companies over $1,000 more per person on average than is spent per person in Traditional Medicare. This results in increased premiums for all Medicare beneficiaries, including the 77% of beneficiaries who are not currently enrolled in a Medicare Advantage plan. The law levels the playing field by gradually eliminating this discrepancy. People enrolled in a Medicare Advantage plan will still receive all guaranteed Medicare benefits, and the law provides bonus payments to Medicare Advantage plans that provide high quality care. Effective January 1, 2011. Linking Payment to Quality Outcomes. The law establishes a hospital Value-Based Purchasing program (VBP) in Traditional Medicare. This program offers financial incentives to hospitals to improve the quality of care. Hospital performance is required to be publicly reported, beginning with measures relating to heart attacks, heart failure, pneumonia, surgical care, health-care associated infections, and patients’ perception of care. Effective for payments for discharges occurring on or after October 1, 2012. Encouraging Integrated Health Systems. The new law provides incentives for physicians to join together to form “Accountable Care Organizations.” These groups allow doctors to better coordinate patient care and improve the quality, help prevent disease and illness and reduce unnecessary hospital admissions. If Accountable Care Organizations provide high quality care and reduce costs to the health care system, they can keep some of the money that they have helped save. Effective January 1, 2012. Reducing Paperwork and Administrative Costs. Health care remains one of the few industries that relies on paper records. The new law will institute a series of changes to standardize billing and requires health plans to begin adopting and implementing rules for the secure, confidential, electronic exchange of health information. Using electronic health records will reduce paperwork and administrative burdens, cut costs, reduce medical errors and most importantly, improve the quality of care. First regulation effective October 1, 2012. Learn how the law improves the health care system for providers, professionals, and patients. Understanding and Fighting Health Disparities. To help understand and reduce persistent health disparities, the law requires any ongoing or new Federal health program to collect and report racial, ethnic and language data. The Secretary of Health and Human Services will use this data to help identify and reduce disparities. Effective March 2012. Providing New, Voluntary Options for Long-Term Care Insurance. The law creates a voluntary long-term care insurance program – called CLASS — to provide cash benefits to adults who become disabled. Note: On October 14, 2011, Secretary Sebelius transmitted a report and letter to Congress stating that the Department does not see a viable path forward for CLASS implementation at this time. Improving Preventive Health Coverage. To expand the number of Americans receiving preventive care, the law provides new funding to state Medicaid programs that choose to cover preventive services for patients at little or no cost. Effective January 1, 2013. Expanding Authority to Bundle Payments. The law establishes a national pilot program to encourage hospitals, doctors, and other providers to work together to improve the coordination and quality of patient care. Under payment “bundling,” hospitals, doctors, and providers are paid a flat rate for an episode of care rather than the current fragmented system where each service or test or bundles of items or services are billed separately to Medicare. For example, instead of a surgical procedure generating multiple claims from multiple providers, the entire team is compensated with a “bundled” payment that provides incentives to deliver health care services more efficiently while maintaining or improving quality of care. It aligns the incentives of those delivering care, and savings are shared between providers and the Medicare program. Effective no later than January 1, 2013. Increasing Medicaid Payments for Primary Care Doctors. As Medicaid programs and providers prepare to cover more patients in 2014, the Act requires states to pay primary care physicians no less than 100% of Medicare payment rates in 2013 and 2014 for primary care services. The increase is fully funded by the federal government. Effective January 1, 2013. Providing Additional Funding for the Children’s Health Insurance Program. Under the law, states will receive two more years of funding to continue coverage for children not eligible for Medicaid. Effective October 1, 2013. Prohibiting Discrimination Due to Pre-Existing Conditions or Gender. The law implements strong reforms that prohibit insurance companies from refusing to sell coverage or renew policies because of an individual’s pre-existing conditions. Also, in the individual and small group market, the law eliminates the ability of insurance companies to charge higher rates due to gender or health status. Effective January 1, 2014. Eliminating Annual Limits on Insurance Coverage. The law prohibits new plans and existing group plans from imposing annual dollar limits on the amount of coverage an individual may receive. Effective January 1, 2014. Learn how the law will phase out annual limits by 2014. Ensuring Coverage for Individuals Participating in Clinical Trials. Insurers will be prohibited from dropping or limiting coverage because an individual chooses to participate in a clinical trial. Applies to all clinical trials that treat cancer or other life-threatening diseases. Effective January 1, 2014. Making Care More Affordable. Tax credits to make it easier for the middle class to afford insurance will become available for people with income between 100% and 400% of the poverty line who are not eligible for other affordable coverage. (In 2010, 400% of the poverty line comes out to about $43,000 for an individual or $88,000 for a family of four.) The tax credit is advanceable, so it can lower your premium payments each month, rather than making you wait for tax time. It’s also refundable, so even moderate-income families can receive the full benefit of the credit. These individuals may also qualify for reduced cost-sharing (copayments, co-insurance, and deductibles). Effective January 1, 2014. Establishing Affordable Insurance Exchanges. Starting in 2014 if your employer doesn’t offer insurance, you will be able to buy it directly in an Affordable Insurance Exchange. An Exchange is a new transparent and competitive insurance marketplace where individuals and small businesses can buy affordable and qualified health benefit plans. Exchanges will offer you a choice of health plans that meet certain benefits and cost standards. Starting in 2014, Members of Congress will be getting their health care insurance through Exchanges, and you will be able buy your insurance through Exchanges too. Effective January 1, 2014. Increasing the Small Business Tax Credit. The law implements the second phase of the small business tax credit for qualified small businesses and small non-profit organizations. In this phase, the credit is up to 50% of the employer’s contribution to provide health insurance for employees. There is also up to a 35% credit for small non-profit organizations. Effective January 1, 2014. Increasing Access to Medicaid. Americans who earn less than 133% of the poverty level (approximately $14,000 for an individual and $29,000 for a family of four) will be eligible to enroll in Medicaid. States will receive 100% federal funding for the first three years to support this expanded coverage, phasing to 90% federal funding in subsequent years. Effective January 1, 2014. Promoting Individual Responsibility. Under the law, most individuals who can afford it will be required to obtain basic health insurance coverage or pay a fee to help offset the costs of caring for uninsured Americans. If affordable coverage is not available to an individual, he or she will be eligible for an exemption. Effective January 1, 2014. Ensuring Free Choice. Workers meeting certain requirements who cannot afford the coverage provided by their employer may take whatever funds their employer might have contributed to their insurance and use these resources to help purchase a more affordable plan in the new health insurance Exchanges. Effective January 1, 2014. Paying Physicians Based on Value Not Volume. A new provision will tie physician payments to the quality of care they provide. Physicians will see their payments modified so that those who provide higher value care will receive higher payments than those who provide lower quality care. Effective January 1, 2015. The law will cost the government about $938 billion over 10 years, according to the nonpartisan Congressional Budget Office, which has also estimated that it will reduce the federal deficit by $138 billion over a decade (Health Care Reform, 2012). It was the largest single legislative achievement of Mr. Obama’s first two years in office, and the most controversial. Not a single Republican voted for the final version, and Republicans across the country campaigned on a promise to repeal the bill. In January 2011, shortly after they took control of the House, Republicans voted 245 to 189 in favor of repeal, in what both sides agreed was largely a symbolic act, given Democratic control of the Senate and White House (Health Care Reform, 2012). With Republicans unable to repeal the bill, its fate rests in the hands of the Supreme Court, which in November 2011 agreed to hear a challenge to the law. The development set the stage for oral arguments by March and a decision in late June, in the midst of the 2012 presidential campaign (Health Care Reform, 2012). But in the meantime vast changes have been set in motion that are likely to persist no matter what the court’s ruling. Provisions already put in place, like tougher oversight of health insurers, the expansion of coverage to one million young adults and more protections for workers with pre-existing conditions are already well cemented and popular. And the law, along with economic pressures, has forced major institutions to wrestle with the relentless rise in health care costs (Health Care Reform, 2012). 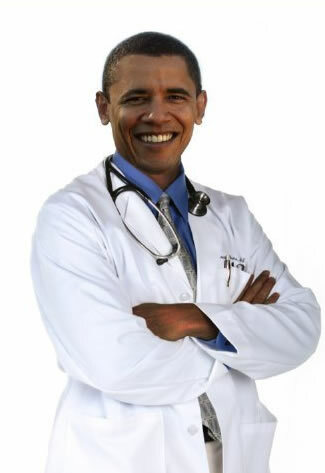 After decades of failed attempts by a string of Democratic presidents and a year of bitter partisan combat, President Obama signed legislation on March 23, 2010 to overhaul the nation’s health care system and guarantee access to medical insurance for tens of millions of Americans. The health care law seeks to extend insurance to more than 30 million people, primarily by expanding Medicaid and providing federal subsidies to help lower- and middle-income Americans buy private coverage. It will create insurance exchanges for those buying individual policies and prohibit insurers from denying coverage on the basis of pre-existing conditions. To reduce the soaring cost of Medicare, it creates a panel of experts to limit government reimbursement to only those treatments shown to be effective, and creates incentives for providers to “bundle’’ services rather than charge by individual procedure (Health Care Reform, 2012). As discussed earlier in this paper, in US, the ranks of the uninsured and under-insured have skyrocketed, from insurance costs that have grown over a decade. Health coverage is employers’ most unpredictable major cost, a threat to their businesses’ competitiveness, and they have increasingly offloaded costs onto employees. So while the marginalized uninsured are an important problem, declining coverage for the mainstream is the greater worry. Most know that, even with insurance, any major health problem can spell financial ruin. Medicare cost cutting will affect patient care as the hospitals and doctors’ offices will not have enough incentive to treat these category people because of significantly low reimbursements. That will significantly affect the quality of their care. US is already going through a major ECONOMIC CRISIS situation right now. It has affected the whole world. We as ‘American people’ should become aware of a couple of harsh truths. 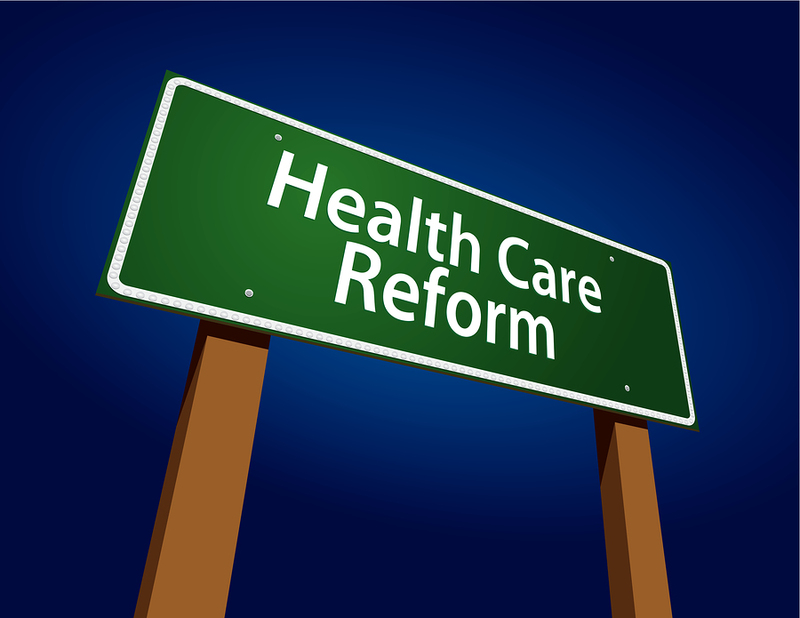 Introducing Healthcare Reform in 2010 has expedited the degradation of economy rather than making any better. 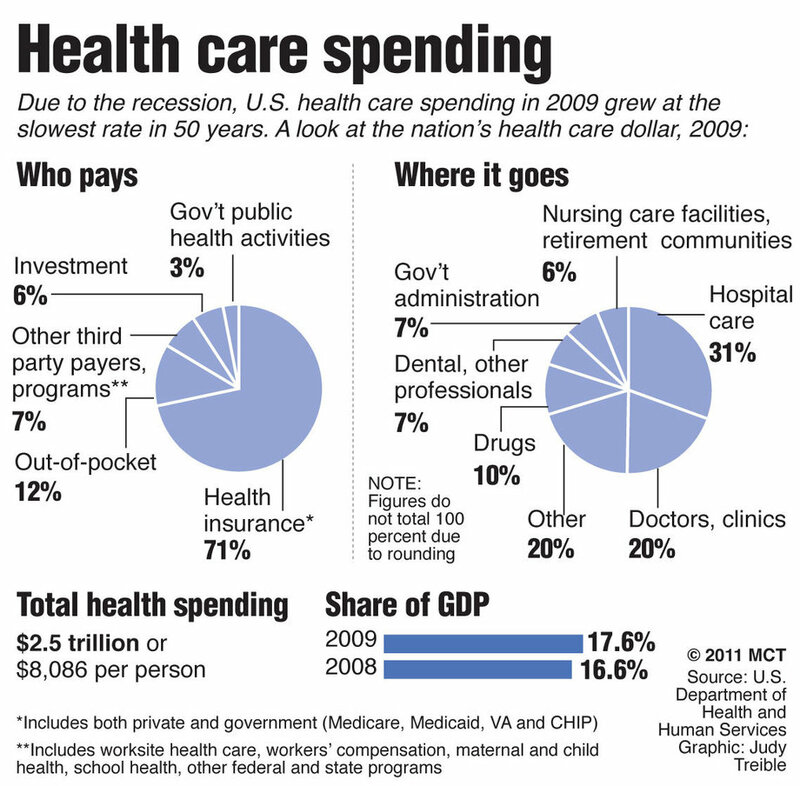 It is not Healthcare Saving, but Healthcare Spending. THE MOST IMPORTANT THING THAT NEEDS TO BE STOPPED IN US IS ‘DEFENSIVE MEDICINE’ AND 90% HEALTHCARE SYSTEM PROBLEMS WILL BE GONE. The government needs to cut down on spending and start saving to save the country. US is struggling do improve. The government is least bothered about what people of the country want. They may be thinking they are helping the people, but actually they are not. I can understand their stand to promote equality, but that reduces efficiency which is highly needed right now to get over this economic crisis. The fundamentals in the reform are very well put in, but we wish that the economists sitting in the government would have put some effort into realizing the harms this reform will bring to US economy in coming years. To sum up, we can say that we have deeper problems than an inability to fix health care. Defensive Medicine: Providers always overdoing to avoid malpractice law suits. Doctors are being over-controlled and micro-managed by the current regulatory systems. By training, doctors are innovators and independent thinkers. Taking away their thought process is making them into robots who just keep clicking computers to get their ends meet without any interest. Why does it not open more medical schools? Why does it not make it easy for foreign trained doctors to come to US and practice medicine? Why do they not cut the overwhelming malpractice costs? Why do they not incentivze primary care services? Why cannot they increase taxes on cigarettes, sodas and chips which are killing the Americans? Why cannot they let physicians be independent and let them practice medicine rather than practicing computers? Why can they not prosecute drug dealers who are contaminating the system? Why do people get support from tax payers money when they can actually work but they choose not to? It is a pain to practice such medicine in United States which boasts of being a Number 1 economy in the world. America has very poor ranking on overall health indexes as compared to other developed nations in the world. The only good part I see in Healthcare reform is the mandatory Health insurance which makes it fair for everyone. The concept of ACO and PCMH are great, but the overall goals are still very hard to achieve even with these models if the defensive medicine and malpractice costs are not taken care of. So, my appeal from all the healthcare providers and the government is to change the Healthcare System for better rather than for worse. Make it easy for providers to practice medicine. Do not let those 1/3rd current physicians leave medicine, which they are thinking because of strict government regulations.